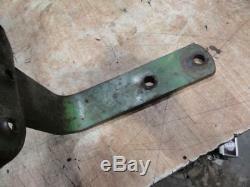 John Deere Original Two Cylinder Foot Step Part number: AA6092R this is an original john Deere Step used on john Deere A B G 50 60 70 520 530 620 630 730 in good original condition. The bracket is not bent twisted or repaired. 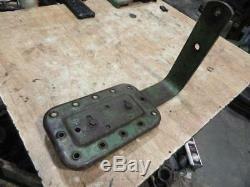 John Deere Original Two Cylinder Foot Step. 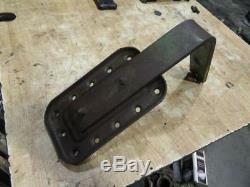 This is an original john Deere Step used. On john Deere A B G 50 60 70 520 530 620 630 730. Parts Inquiries and General Questions Welcomed! Styled A B G 50 60 70 520 530 620 630 720 730. ALL INVENTORY IS NOT LISTED ONLINE PLEASE CALL. Be sure to add me to your favorites list. Get images that make Supersized seem small. 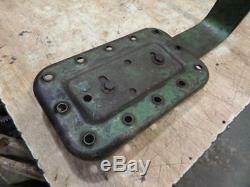 The item "John Deere Original Two Cylinder Foot Step A B G 50 60 70 520 530 620 630 730" is in sale since Monday, September 17, 2018.